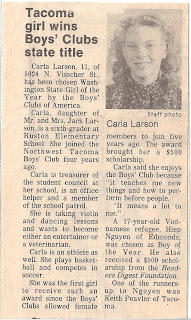 At the age of eight, I joined the Boys Club just a year after they allowed girls to join. Little did I know how much an impact the Boys Club would have on my life as a little girl. 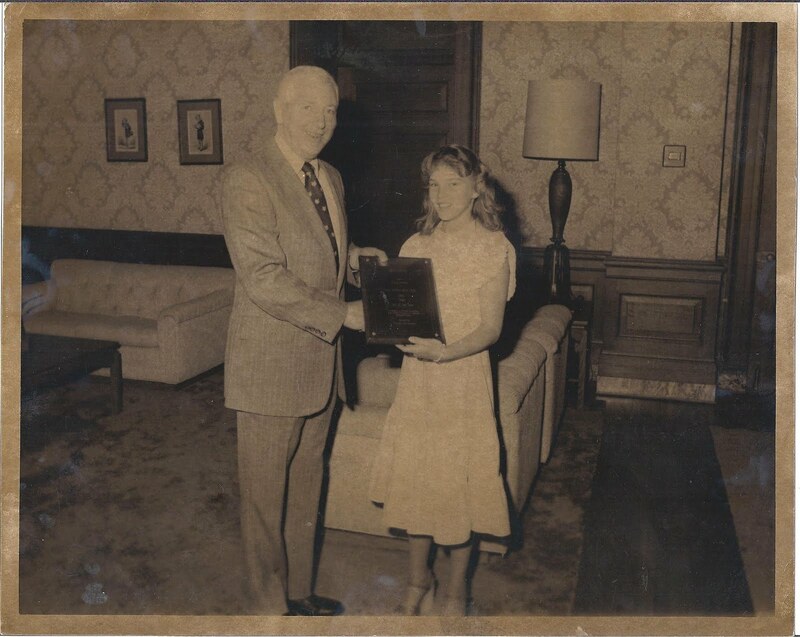 It was at the Club that I was introduced to volunteerism and community service. I will never forget when I asked one of the leaders "How much do you get paid to be with us?" and his response "Nothing, I just like hanging out with you kids.". I just thought that was so cool that this guy was willing to spend time with me and my friends for free. Well, obviously his example, along with other leaders at the Boys Club, played a major role in mentoring me to become the person I am today. In April of 1981 I was chosen as the very first Washington State Girl of the Year by the Boys' Clubs of America. From that experience, I then had the motivation and drive to make sure I put my scholarship and lessons learned at the Club to good use by getting good grades, going to college, and giving back to my community. I am so grateful and blessed to have had that investment made in me at such a young age. Thank you Boys Club for making a difference in my life! 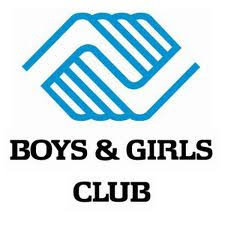 So it is with much appreciation that I am honored to be able to give back to the updated Boys and Girls Clubs (now girls are included in the club's name :)) as Mrs. Washington 2010 - some 30 years later! This last Tuesday, Jan. 12, I had the privilege of being able to help assist in speech coaching 8 amazing young candidates from the Puget Sound Region vying for the title of "Youth of the Year". I was so touched by their stories - amazing young teenagers - so proud of them and what they are accomplishing. I can't wait to see them again next month! I forgot to take pictures. However, enjoy the pictures of old newspaper clippings of my 1981 win announced in the Seattlle PI and the Tacoma News Tribune, as well as a picture of me accepting my award from then Washington State Governor John Spellman. I was such a "tom-boy" back then!